We are a well established manufacturer of specialised equipment for the electrical, telecommunications and mining industry. 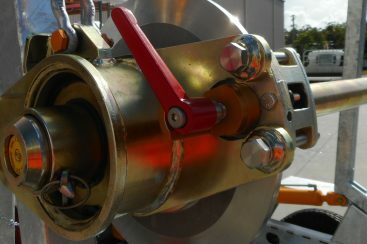 Our specialised equipment is designed for the electrical, telecommunications and mining industry. 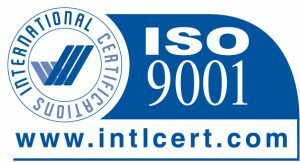 With over 50 years experience, our team of engineers, factory-certified technicians and customer service representatives will ensure you receive the right equipment for your application. Redmond Gary Australia commenced operations in 1963 and is a well established manufacturer of specialised equipment for use in handling overhead, underground and trailing cables. Our comprehensive range of equipment includes elevating work platforms, crane borers and cable handling equipment. We have earned our reputation by supplying high quality reliable machinery to our customers throughout Australia and around the world. 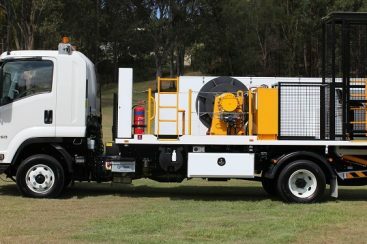 Our equipment is proudly designed and manufactured right here in Australia and fully complies with Australian Standards. This equipment has rugged design characteristics ensuring long life in harsh Australian conditions. You can find Redmond Gary machines working wherever overhead or underground cable networks exist. Our main customers include major electricity authorities, contractors and mines. Redmond Gary is a well established manufacturer of specialised EWP, MEWP, pole borer and cable handling equipment for the electricity distribution and telecommunications industries. We design and manufacture specialised equipment for picking up and placing trailing cables for a wide range of mining equipment that is electrically powered. 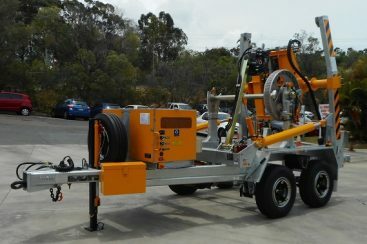 In addition to the recently delivered 25kN Winch Truck, Redmond Gary Australia has also supplied Jemena a specially built 6 tonne self-loading cable drum trailer (SLCT) that can also accommodate a 20kN cable pusher.